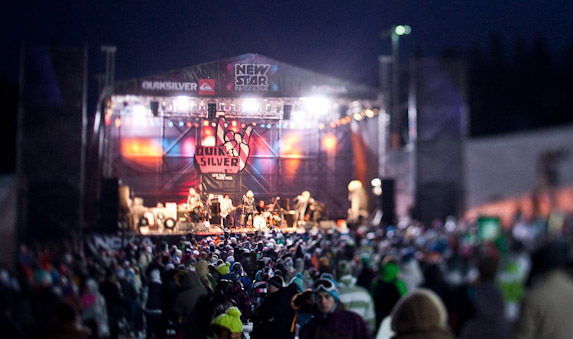 Quiksilver New Star Invitational, international snowboard contest. 12 марта 2011, Санкт-Петербург, Игора. 12 марта, гостеприимный курорт ИГОРА. начало 14 часов, вход свободный. 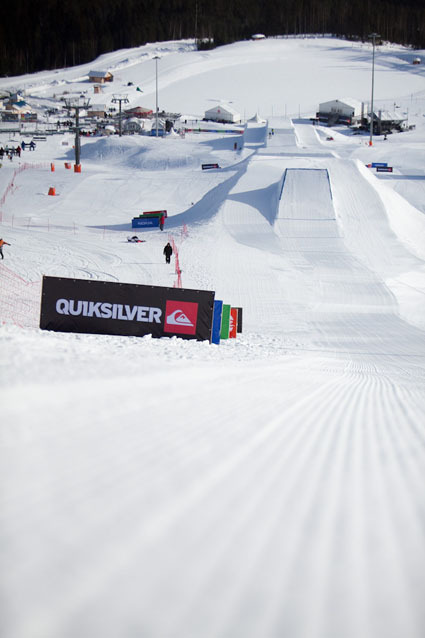 Quiksilver New Star Invitational from Quiksilver Russia on Vimeo. 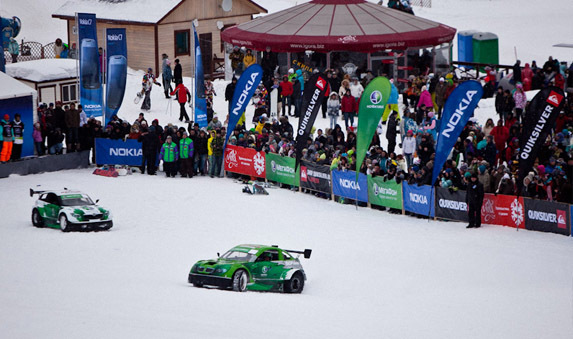 The epic fight of European and Russian riders, snowmobile show, live concert DÚNÉ and more than 8 000 peoples. 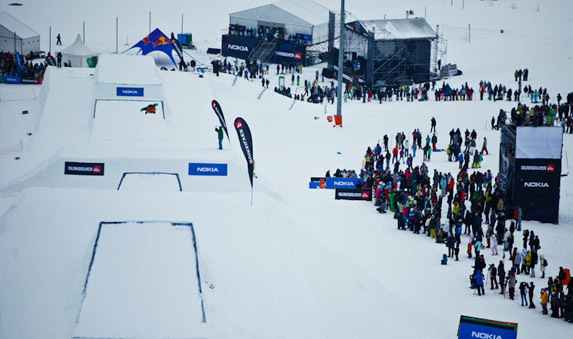 The main snow event of russian snowboarding of this year – the International snowboard-festival Quiksilver NEW STAR Invitational has taken placen on 12th March on the basic slope of a mounting skiing resort “Igora” (St.-Petersburg). 25 sportsmen from Austria, Finland, Sweden, Norway and Russia have taken part In festival. 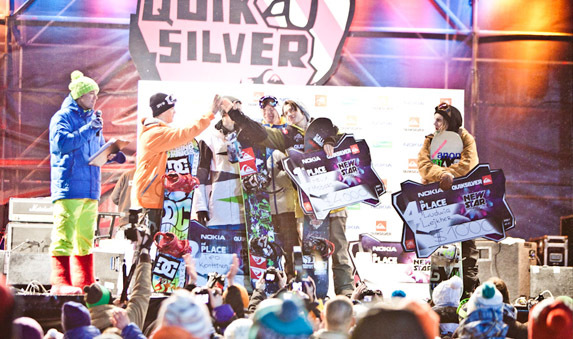 As a result of fight first place takes Swedish rider – Felix Mobarg who has executed a line cab9-bs9-cab180-bs360. 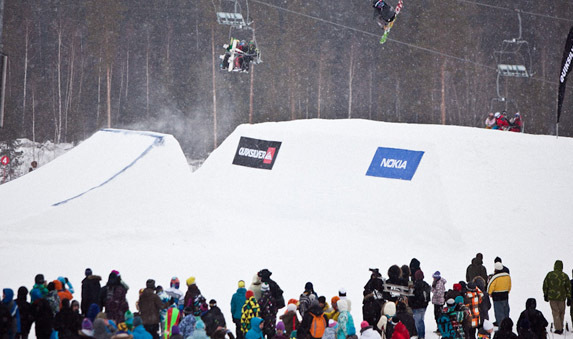 On the second place defined Teo Kontinnen (Finland) who has made in the best line fs10-bs540-fs360-540. Third place takes Sergey Lapushkin- it was great present for Russian fans. 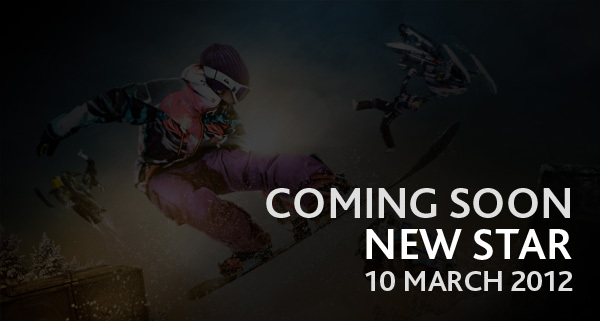 On Quiksilver New Star invitational taken place unique show on snowmobiles – Red Bull Snowmobile Show, with double gold medallist X Games – Daniel Bodin at the head! Daniel has made backflip and made people crazy. After competition taken place Dune concert with unique sound and amazing performances! Since the morning of 12 th March, on Igora there were a lot of people. From Russian riders best looked Sergey Lapushkin and Jura Gavrilov, however in final there was only SergeyLapushkin which has occupied 10th place in qualification. 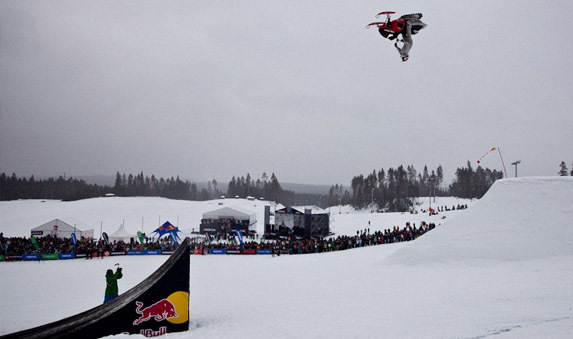 Riders showed the most complicated tricks – cab 9, bs 10, rodeo in all variations, back flips and front flips. Sergey Lapushkin looked very confidently against many European riders. The crowd simply roared, when Sergey, one of Russian riders passed qualification, next trick did successful. After calculations of points Lapushkin taken third place! Shows from Daniel Bodin and MegaFone motorsport team have continued day. 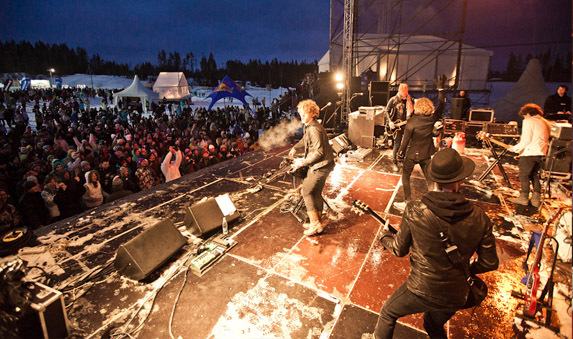 Concert of Dune have finished snow holiday! Many visitors of action went for 50 kilometers from St.-Petersburg specially to look and listen Dune alive!